Chamba is an unexplored, untouched, serene destination located at an altitude of 1676 m, 60 km from Mussoorie, in the Tehri district of Uttarakhand.An unspoilt territory and covered with lots of pine and deodar trees, Chamba offers a never explored interlude. Unlike Mussoorie, the place is very quiet, serene and offers picturesque beauty and is an excellent place to relax and fun and drive away the city blues. 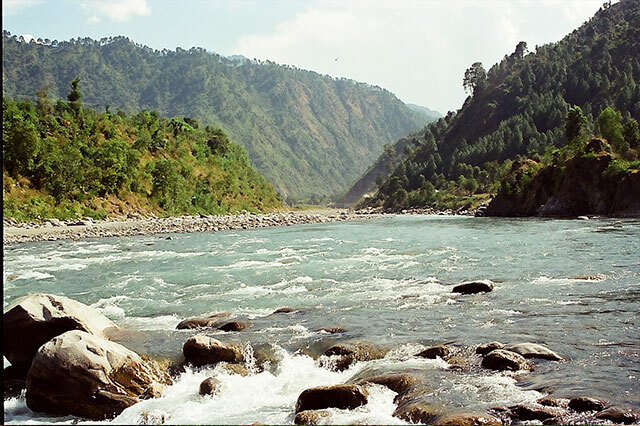 One can reach Chamba in about two hours from Rishikesh. After the submergence of old Tehri town, Chamba is the emerging tourist spot in Tehri Garhwal being a central point. The snow capped peaks of the Himalayas, the awe inspiring views of the verdant gorges and the enchanting valleys all around the river Bhagirathi will undoubtedly leave you spell bound, amidst the salubrious apple growing fields.